Review date: 17 July 2004. 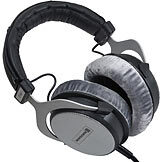 I liked Beyerdynamic's DT 880 headphones, but I wasn't exactly champing at the bit to review the cheaper DT 860 and 660. I didn't think they'd be interesting, because at a glance they just looked like somewhat cheaper versions of the 880. They're not a lot cheaper than the 880, so I figured they'd probably offer about the same value for money, and I'd end up doing the usual bunch of product photography and then only write six paragraphs of review. There's more to these headphones than that, though. The 860 and 660, while they're very similar to each other, are actually quite different from the 880. The DT 860 is basically the same shape as any number of other big circumaural (around the ears) headphones. Headband with top cushion, round earpieces with squishy cushions, and a cable hanging from only one side, so it won't grab you around the neck if you take the 'phones off carelessly. The cable is permanently attached, which to my mind is a minus in a high-class headphone like this. I'd rather have a plug-in cable, which'll pop loose if you pull it tight by accident, and is easy to replace if damaged. But this isn't a big deal; the DT 880 has a permanently attached cable as well. Maybe it's to appease audiophiles who don't want another un-crimped, un-soldered junction in their signal path. Here in Australia, you can buy the 860 for $AU429 including delivery anywhere in the country, from Aus PC Market. 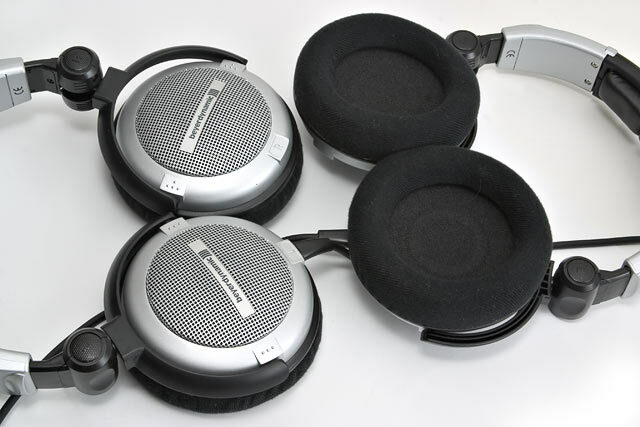 The DT 660s look almost exactly the same as the 860s, except for the discreetly printed model number and fewer, bigger holes on the backs of the earpieces. Those ventilated earpieces, though, are misleading; these are not actually open headphones. The DT 860 is open, but under the grillework, the DT 660 is sealed. Sealed headphones are usually obviously sealed. 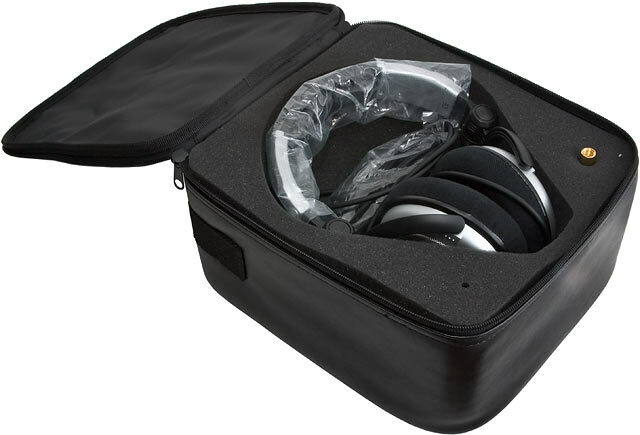 The outsides of the ear cups are solid plastic or metal, so you can see in a second that you're looking at two little airtight speaker enclosures. I'm not sure why Beyer chose to make the 660s look as if they're open; perhaps the calculations demanded an unusually small enclosure size for the transducers, but they didn't want the earpieces to be strangely thin. No matter; they work. Aus PC Market sell the DT 660 for $AU359.70 including Australian delivery. The DT 860s (I've given up talking about headphones exclusively in the singular; I'll add an S when I feel like it) come in this neat-o zip-up case with carry handle. I automatically assumed it was fake leather, but I think it's actually real. Swish. 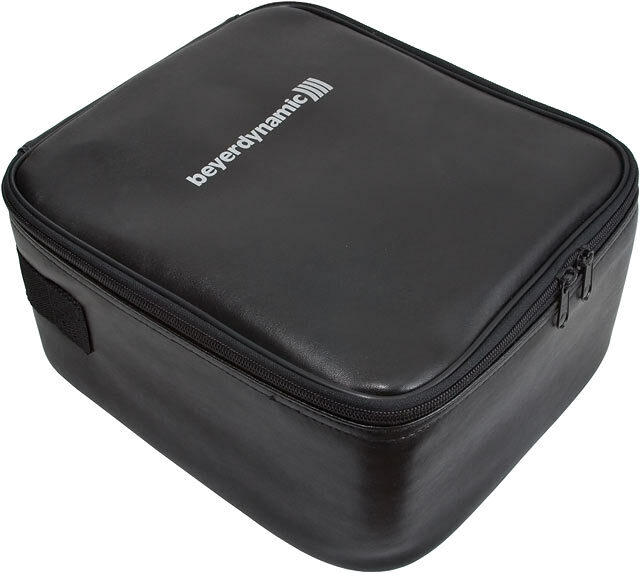 It's only a soft case, unlike the redoubtable aluminium box you get with a set of DT 880s, but it'll protect the 'phones from anything short of someone standing on them. Inside there's plenty of foam padding, a boring warranty card (not shown), and a plug adapter. As with the DT 880s, the DT 660s have a 1/8th inch plug and come with a 1/4 inch adapter, which screws onto the smaller plug for a really positive fit. There's enough spare room in the case that you could slice an extra hole or two in the foam for some more gear, like for instance a smallish MP3 player, or a little portable headphone amp of one kind or another. Unlike the DT 880, the 860 and 660 have a low impedance - only a nominal 32 ohms - so they're quite suitable for use with practically any portable device, without an amplifier. High impedance 'phones like the 880s can't play very loud when driven by the weedy headphone output of most portable players, but these 'phones can. You may still want an amplifier, so they can sound good when playing loud, but it's not at all essential. The DT 660s don't come with a case, but they do come with the same plug adapter as the 860s, and with this spare set of earpiece pads. The standard pads on the 660 and 860 are covered with unremarkable fuzzy velour material (not the lush silver-grey fuzz of the DT 880s); the DT 660 alternative pads are faux leather. Note the holes on the back of the pad; the standard pads have them too, and they're supposed to make the pads more "breathable". The earpieces of both of these headphones are articulated in two ways. The first lets them fold flat, like this. You can do it in a second, and it makes it easier to hang the headphones up, and maybe to pack them away too, though the DT 860 case is for the headphones in their unfolded state. Articulation two is more impressive; both earpieces can also be folded around into the shelter of the headband, like this. I actually got the transformation wrong, in the above picture; you're meant to flip the earpieces around so they face each other. This doesn't make the folding any neater, but it protects the transducers from damage better than the half-folding I did above. As I've said before, hurdle number one for headphones in general and full-sized headphones like these in particular is how they feel. 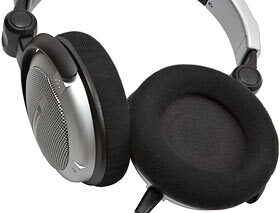 You can put up with so-so comfort if headphones sound great, are well priced and, preferably, have some other good features, but even somewhat uncomfortable headphones are unacceptable if you expect to have to wear them for a long time. And these two Beyers aren't cheap. Unfortunately, they also aren't as comfortable as I'd like. Not for me, anyway. If Beyer tested the comfort of these headphones on humans before putting them into mass production, I can only imagine that the humans they used are a bit funny looking. 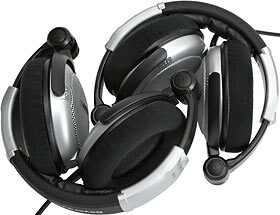 The minimum size to which these headphones can be adjusted, for a start, is rather large. My head is, perhaps, a bit on the large side. I've worn various pairs of headband-type headphones over the years without any fundamental fit issues; I usually have to click the earpieces out a bit to get them in place properly. But the 860 and 660 don't quite fit me. Too big. If the cushion on the headband is actually touching the top of my head, then the earpieces are sitting a bit too low, squishing the tops of my ears. This isn't just a comfort issue; to sound right, headphones like these should be lined up pretty accurately with your ear-holes. Jockeying them fore, aft, up or down will significantly, and negatively, affect the sound. ...ear pads aren't thick enough. Not for my ears, anyway. My ears, which are not particularly large thank you very much, rub on the foam in the middle of the earpieces. Never before have I worn a pair of full-sized headphones that cost anything like this much money and had this problem, but these ones do. The first time I wore these headphones for a few hours each, I had to keep ripping them off and scratching my itching ears. Leaving no stone unturned, I even tried getting drunk. Nope, still annoying. Later wearings were less irritating; I've been wearing the 660s for half an hour as I type these words, and an as yet itch-less. But expensive circumaural headphones still shouldn't touch your ears at all. I got a couple of other people, who will remain nameless to avoid embarrassment about their freakishly proportioned crania, to try the headphones out. One test subject has a hat size about the same as mine, but a more oval head, so the headband fit her pretty well at its smallest size (who the heck would need the largest size, I'm not sure). Her ears have a normal amount of sticky-outness like mine, though, so the Beyers instantly started itching her up, too. The other test subject has small, flat ears, and so had no trouble with the thickness of the pads. But her head is quite small, so the headband of both headphones stood up hilariously above the top of her skull. It looked as if she'd annoyed an evil sorcerer, or something. If she pulled the 'phones down until the headband was comfortable, the earpieces ended up now half-way down her ears. It is, clearly, possible for these headphones to fit some people very comfortably. But you mustn't have a little head, and you must have small and/or flat ears. Unless you're pretty sure that you fit the bill, you shouldn't buy these 'phones without trying them on first. If your ears actually stick out, forget it. The very similar design of these two headphones, by the way, creates another small comfort issue. The DT 660s are sealed, so they squeeze your head harder than most hi-fi headphones, in order to get a good seal of the earpieces to your skull. Nothing unusual there. The DT 860s, though, are open, and so pretty much just have to sit there. They only need to squeeze hard enough to avoid falling off. But they've got the same headband as the 660s, so they actually squeeze just as hard. It's hardly Spanish Inquisition material, but it's unnecessary. All things being equal, well-designed open headphones should always be a bit more comfortable than otherwise very similar closed versions. But these ones aren't. You can expect fairly expensive Beyerdynamic headphones to sound very good, and these ones pretty much do. I tried them out on the headphone output of a ThinkPad, and then on my main PC through a BitHead amplifier, and when I wasn't suffering from itchy ears, I was quite pleased. The DT 860s have solid but not overemphasised bass, no midrange resonance weirdness I could detect, and rather enthusiastic treble response. I haven't seen a frequency response plot for them, and lack the non-trivial test gear needed to make one myself, but I think there's a bit of an upslope happening at the right hand side of the response graph. The treble's unusually crisp at normal listening volume, and it hits you like an overinserted cotton bud if you wind the 'phones right up. 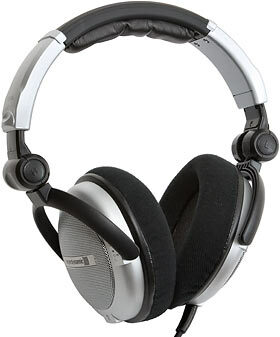 Audiophile code-speak applies words like "forward", "aggressive" and "fast" to headphones like this, and many audiophiles like them a lot. It's a matter of taste, though; my old Sennheiser HD 590s (loved by few 'phone-o-philes, but good enough for my everyday use) sound muffled compared with the DT 860s, but I prefer them. It depends a bit on what you're listening to. Some popular music is mixed with beefed-up treble, because the producer's trying to get some of the cymbal tish to survive being played through dreadful boom-box speakers. Listen to that music through headphones like these, with bright treble, and you'll probably find yourself reaching for an equaliser to make the experience a bit less vivid. Music produced for a more discerning market, though, is likely to work better through 'phones like these. On to the DT 660s. 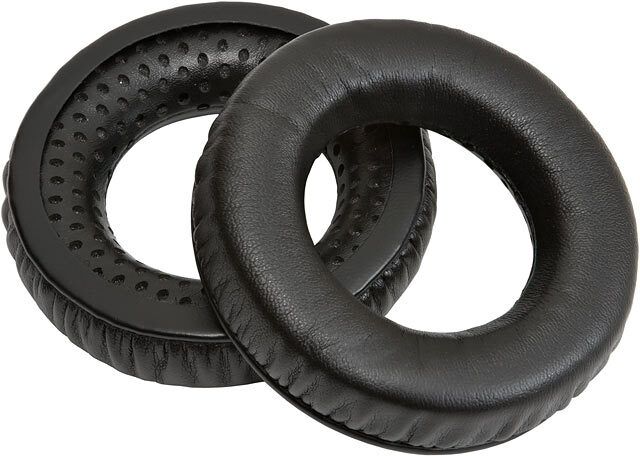 They're sealed, so they attenuate outside noise, and leak less sound out into your environment as well. I've worn sealed 'phones with more attenuation than these ones, and they certainly don't deliver the bye-bye-world experience that a proper set of head-clamp DJ monitoring 'phones will, but they ought to attenuate quite well enough for most people. Sealed headphones tend to have more bass than open ones, but I'm not sure about the 660 and 860; swapping them back and forth left me with no clear conclusion. Maybe the 660s; the 660 bass does seem to be less sensitive to small position changes, which is another thing you can expect from sealed 'phones. There's no big difference, though. Sealed headphones pretty much always have resonance colouration in the midrange, and the 660s don't buck that trend. I've heard far worse than this from other sealed 'phones, though, and not just cheap ones. Bad sealed 'phones sound as if the cardboard tube from the middle of a toilet roll features somewhere in their construction, but the 660s don't. Beyerdynamic have done a good job of minimising the problem. 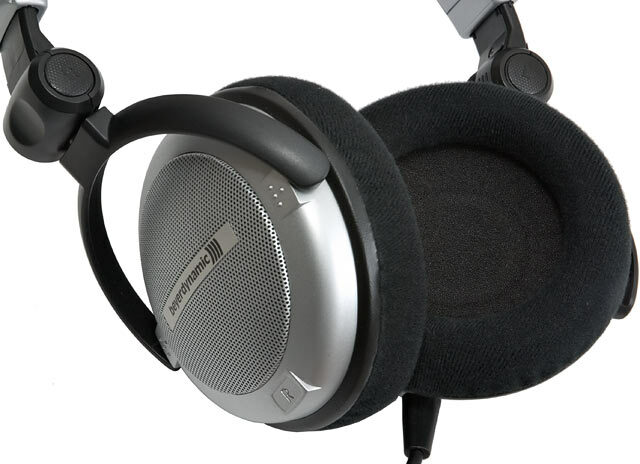 The DT 660s are, like the DT 860s, not at all shy in the treble. I think their mild midrange colouration might make the pushy treble a bit less prominent, but I might also be fooling myself. Sonically, there's little to complain about in the DT 860 and 660. A bit bright, yes, but many people are happy to pay extra for that. Ergonomically, though, these 'phones will miss the mark for many people. The world teems with headphones that feel worse than these; most "supra-aural" on-top-of-the-ears headphones feel no better. But these are big headphones that aren't meant to touch your ears, and are meant to therefore be wearable for many straight hours in perfect comfort. Unless you've got a good supply of head and a slight shortage of ear, they won't pass this test for you. I presume Beyer had some good sonic reason to give these headphones their skinny ear cushions instead of the more generous ones that most other circumaural 'phones provide, but I can't figure out the headband size issue. All the things need are another few clicks on the small side of the size adjustment. Maybe it's a unit conversion problem. I dunno. Are these bad headphones? Heck, no. But if you're buying headphones by mail order, you don't want to be rolling the dice on comfort and sound oddities. What would I buy instead, sight unseen, in the high-class full-sized headphone market? Well, the delivered price of the truly excellent Beyer DT 880 is only about 1.4 times that of the DT 660. It's less than 1.2 times the price of the DT 860. So you wouldn't have to save up a lot longer to afford 880s, and you'd end up with arguably the best headphones in the world. The high impedance of the DT 880s isn't likely to be a big problem, and their lack of the x60 'phones folding options also won't turn off many buyers. 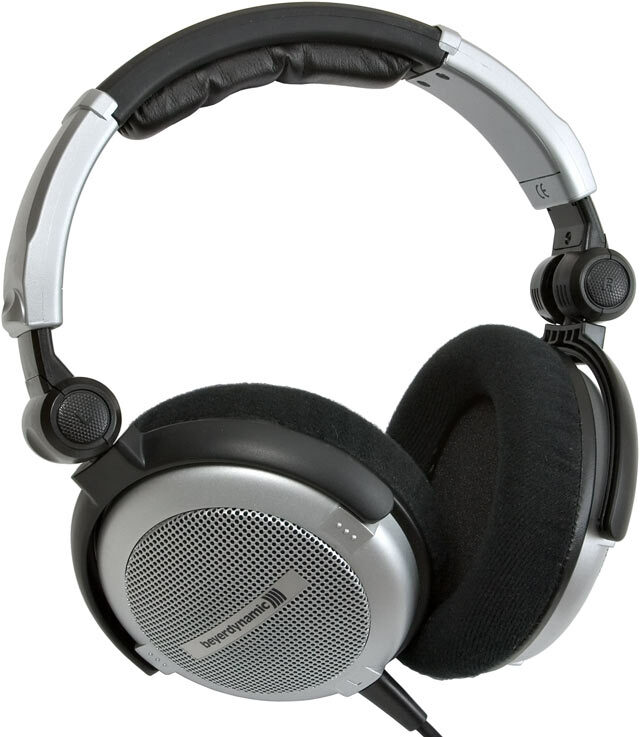 There's a niche market of people who want great sounding full-sized, yet folding, headphones for use with a portable player as well as at home. They'll be rather interested in the 860s, and even more interested in the 660s. Otherwise, though, the 880s are a better bet. Readers from Australia or New Zealand can purchase the DT 860 for the lower price of $AU374 including Australian delivery from Aus PC Market. Click here to order! They don't stock the DT 660 any more, but they have many other headphones.